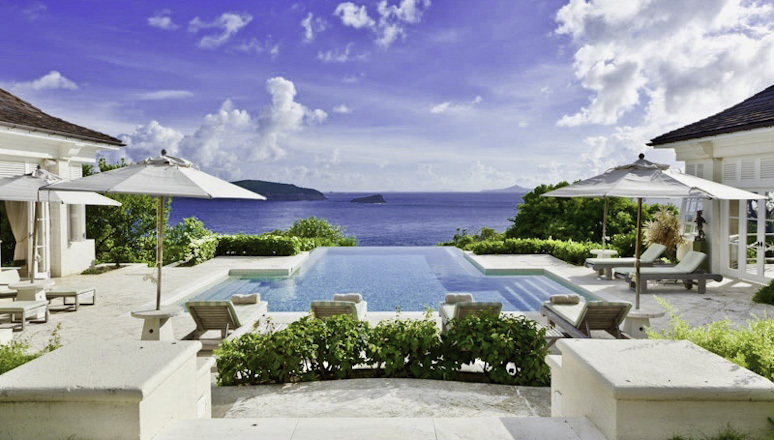 Mustique and the Villas in Mustique are magical in every way. 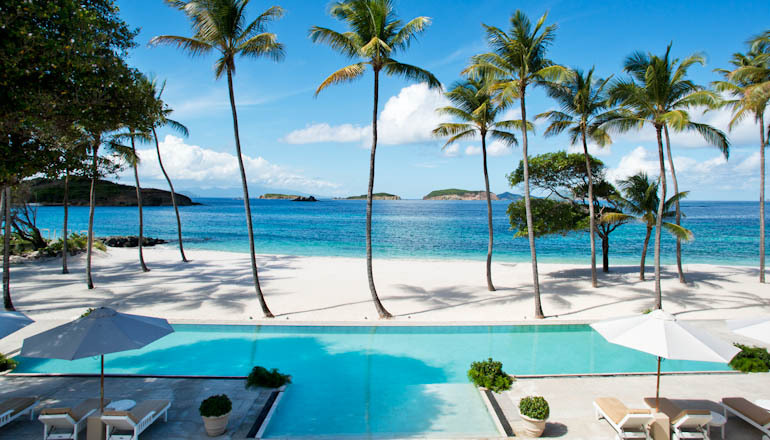 Mustique is one of the most exclusive private islands in the world. It is extremely sophisticated and is the perfect destination for someone looking for beautiful beaches, high levels of security, privacy, stunning scenery and extreme luxury. The island is a hub for some of the world’s most successful entrepreneurs as well as the international jet-setters. The one thing they have in common is that they value privacy and safety in a naturally beautiful setting. Mustique island is where you will find many of the world’s most famous people have chosen to have their holiday homes. Tommy Hilfiger, Ralph Lauren, Mick Jagger and Bryan Adams are just a few of the names you will hear about when you visit the island. But all the Mustique Villa rentals are owned by people who are extremely successful in one way or another. 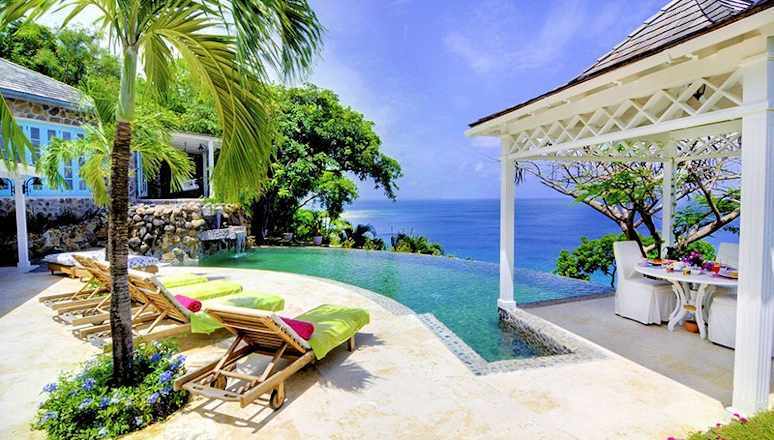 The Villas on Mustique are very often mistakenly referred to as Mystique Villas. It is quite an appropriate change of name as the island has a fascinating aura of mystery and secrecy surrounding it for those first-time visitors. Mystique Villas are the epitome of glamour, romance and magic. They are alluring, appealing and charming as the name suggests! The rise of Mustique Villas began when Lord Glenconner gifted Princess Margaret a ten-acre plot on the island in 1960. She subsequently went on to build one of Mustique’s most beautiful and iconic properties called Les Jolie Eaux. 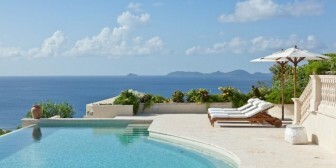 Les Jolie Eaux is still to this day one of the most popular luxury vacation rentals in Mustique. The island's popularity was further enhanced with the arrival of Concorde to Barbados. Barbados is just a short hop from Mustique and together with St Lucia is one of the main access points for the Island. All of the rich and famous wanted to fly Concorde, and many of them wanted to have the added level of privacy and security that Musique offered. The real essence of Mustique is that true barefoot luxury, combined with an incredibly friendly open house party atmosphere. Here you can choose to meet lifelong friends with similar outlooks in life where fellow guests will often enjoy wonderful dinners in their stunning Mustique villas or meet at world famous Basil’s Bar or an informal beach barbecue. But equally, if you are looking for complete privacy and seclusion, then there is no better place to go than here. The island of Mustique has an interesting history. Mustique and The Grenadines were first discovered by Spanish Sailors called the Los Pajaros. During the 17th Century, Mustique and The Grenadines were used predominantly by pirates who liked to use all the sheltered bays to hide their pirate ships. The 18th century saw Musique being predominantly used as a sugar plantation. This was when the Plantation Houses were built. More recent history saw Mustique being purchased by The Hon Charles Tennant (Lord Glenconner) in 1958 for 45,000 English Pounds. This was also when Mustique was transformed into a private limited company and today, Mustique is owned by the Villa owners. In the early days, Mustique had no roads, running water, or even boat jetties. The wedding gift to Princess Margaret caused quite a stir in the British media, and it wasn’t long after that when many of the plots were bought and developed with the luxury villas you see in Mustique today. The hype surrounding Mustique Island was further enhanced by the two predominant architects of that time; Oliver Messel and Arne Hasselqvist. They designed many of the Luxury Villas that are still available to rent today. Oliver Messel famously designed Princess Margaret’s House Les Jolie Eaux and Brian Adams house Point Lookout. He subsequently went on to design many of the Barbados Holiday Rentals such as Crystal Springs, Fustic House and Mango Bay. Arne Hasselqvist designed Mandalay which was an Indonesian inspired villa and once owned by famous singer David Bowie. Arne Hasselqvist also designed The Plantation House which is one of the most popular Mustique Villa Rentals to this day. The villa has stunning views of the ocean and surrounding islands. During the eighties and nineties, Mustique saw an explosion of villas on the island. Due to the very relaxed planning laws, Mustique owners created some of the most ambitious and sophisticated designs in the Caribbean. Take for example Toucan Hill, a Moroccan inspired mansion located on the highest point of the island of Mustique. Opium was another iconic Mustique Villa built during this time. It is an African and Asian inspired home with stunning views of the Atlantic. Sienna is another one of the iconic Mustique rentals on the island. It is an Italian inspired mansion overlooking the world-famous Macaroni Bay. Today, Mustique continues to be the refuge for the extremely successful and extremely famous. Kate Middleton and her family have holidayed on the island for years, and she continues to go to Mustique with her husband Prince William and their three children. So where is Mustique? It is located to the south west of St Lucia and Barbados in the centre of the Grenadines close to Canouan and St Vincent. Mustique is tiny compared to many other Caribbean Islands. It comprises of just 1,400 acres and is 2.2 square miles in size. Mustique has a year-round population of just 500 people who live in the three main villages on the island called Lovell, Britannia Bay and Dover. Despite Mustique’s tiny size, it has more luxury villas then most other Caribbean islands. There are approximately 100 luxury villas to rent here. All of them are available to rent with us at Exceptional Villas. The only other island in the Caribbean that has as many luxury villas for its size is St Barts. In addition to the one hundred Mustique Villas, there are two hotels on the island. The Cottonhouse Mustique is a world-class hotel with several excellent dining options and a full-service spa. The Cottonhouse Mustique has a wonderful barefoot luxury feel. It is the type of place where one can truly relax and enjoy the beauty around Mustique Island. The Firefly is a smaller more intimate hotel on the island and has just seven bedrooms. While most people come to Mustique to relax and enjoy their Mustique Island Rentals, there is a lot do on the island if you also like to be active. Firstly Mustique has nine stunning beaches. Each of them is unique due to the cross-currents of the Atlantic Ocean and the Caribbean Sea. The Mustique beaches include Pasture Bay, Lagoon Beach, Cotton House Beach, Macaroni Beach, Dolly Beach, Rutland Bay, Gelliceaux Beach, Black Sand BEACH, L’Ansecoy Bay and Britannia Bay. Our personal favourite Mustique Beach is Macaroni Bay. The island of Mustique offers a really wide variety of watersports. These include snorkelling, windsurfing, Hobie cat sailing, boogie boarding, paddles boarding, sailing and scuba diving. The scuba diving off Mustique is particularly excellent. In addition, there is a dedicated team of PADI instructors and diving masters. Mustique has a unique Conservation Coral Restoration programme that allows guests to swim out with the dive team to the nursery area and learn all about the coral and its protection. Mustique is one of the only Caribbean Islands to have a professional Equestrian Center. The riding centre caters for all standards and abilities as well as the different equestrian disciplines including dressage, showjumping and trail riding. It is even possible to take your horse for a swim in the sea. Tennis is another activity you can enjoy on the island. Many of the luxury Mustique Villas have their own private tennis courts. But it is also possible for guests to enjoy one of the four floodlit courts at the Mustique Tennis Club. There is excellent tennis coaching available as well as the possibility of participating in tennis tournaments in the high season. Last but not least, Mustique is one of the best islands in the Caribbean to go hiking. There are hiking trails everywhere that will enable you to enjoy the islands wildlife and interesting topography. If that all sounds a little active, then head to Mustique island’s wellness centre and spa. Here you will be able to enjoy a whole range of indulgent treatments. The spa is unique in that it endeavours to use many of the islands own lifegiving herbs and shrubs. You will find treatments using Moringa Trees, Ylgang Ylgang, jasmine and frangipani. If you can’t bear to leave the sanctuary of your luxury Mustique Villa, our Exceptional Villa concierge team will be delighted to arrange massage treatments in your own villa. Our Exceptional Villa Team has personally inspected all of the Mustique Villa Rentals. Our very experienced team of professionals will offer you an expert, unbiased advice as well as weigh up the pros and cons of each villa. They are experts in finding out your needs, requirement and wishes and then finding the perfect villa to match those needs and wishes. At Exceptional villas, we are delighted to be considered the worlds most trusted villa rental company and are proud to have put truth back into travel. Once you have booked your Mustique Villa with us, our 5-star complimentary concierge department will be on hand to offer you all the advice you need as well as organising and pre-booking all your vacation experiences. The Exceptional Villa Concierge Team will look after everything from ground transportation, airport fast-tracking, car or golf buggy hire, activities, day trips, boat trips, scuba diving and literally everything your heart desires. Our team will also be able to help you with providing accurate information on transfers from either St Lucia (UVF) or Barbados Airport (BGI). Private charter flights may also be arranged from both airports. If you are looking for luxurious Mustique Island Villas, we would be more than happy to assist. Browse our site and get more information on luxury vacations to Mustique and more. - Make Sure to Book your Mustique Villa with Exceptional Villas to get the Best Price Guarantee as well as the complimentary concierge service. Plantation House is one of the original iconic Mustique Villa Rentals. It was designed and built by well know architect Arne Hasselqvist. Arne was from Sweden and was well known for creating vacation homes in Mustique. He created Plantation House to have a perfect combination of Colonial and Caribbean style. In fact, this luxury Mustique villa is so beautiful that it had the honour of being featured in Architectural Digest. The outside areas are particularly lovely and include a stunning pool and terrace surrounded by lush tropical gardens. Plantation House has six bedrooms and has one of the best locations on the island with 270-degree views of the turquoise ocean and the surrounding islands including Petit Mustique, Bequia, Canouan and Union Islands. It is also a short 10-minute walk to Lagoon Beach which is one of the best beaches on the island of Mustique. Lagoon Beach is one of the best beaches for swimming as the waters are very calm and almost always crystal clear. Plantation House is also one of the best Mustique Villas from where you can enjoy the beautiful sunsets that are very often present. Sunrise Villa is one of the few Mustique Vacation Rentals that has its own private beach called Simplicity Bay on the eastern side of Mustique. This exquisite 6-bedroom villa is built on several different levels of the hillside. The top level has the advantage of having spectacular views. The lower level has the advantage of being able to touch the ocean. Sunrise Villa has spectacular gardens overflowing with sweet-smelling tropical flowers, organic vegetable garden and fruit trees. The spacious living room designed with high ceilings and floor to ceiling windows has been strategically placed on the top level to take full advantage of the views. There is a stunning pool deck surrounding the infinity pool. Adjacent to the main swimming pool is a separate and charming rock pool. If you fancy waking up to the soothing sounds of the ocean, the beach cottage is located right on the beach. There is something special about waking up in the morning, opening your door and stepping onto soft white sand. If you are lucky enough to rent this beautiful Mustique Villa, you will be able to take full advantage of the floodlit tennis court, fitness centre, home cinema room and 2 Kawasaki Mule Golf Carts with which you can explore the beautiful island of Mustique. With so many Mustique mansions, it is refreshing to find a smaller yet still very exquisite Mustique villa to rent. Greystone is a lovely 2-bedroom property with a great location overlooking Britannia Bay. The views from the pool and terrace area overlook Mustique’s traditional fishing village, quaint shops and Basils Beach Bar which is probably the most famous Beach Bar in the Caribbean. The exterior of Greystone Villa is quite traditional with beautiful exposed stone and a castle turret with a gorgeous roof terrace. The décor, on the other hand, is modern, contemporary and luxurious. The focal point of the villa is the stunning terrace and pool area. There is a wonderful outdoor covered living area where guests inevitably spend much of their time enjoying the view and completely relaxing in the warmth of the tropical heat. Greystone is the perfect Mustique Villa for a romantic honeymoon, a small family or 2 couples vacationing together. Alumbrera Villa has one of the most private and beautiful locations on the island. It is a five-bedroom mansion with an incredible view of Macaroni Beach which has been voted as one of the top ten beaches in the world. Macaroni Beach is a tranquil sanctuary with rarely more than a handful of people enjoying the soft white sands and the incredibly blue turquoise waters. Macaroni Beach is on the East coast of the island; it is perfect for good swimmers and surfers. Alumbrera Villa has the unique advantage of being walking distance via a private footpath to the beach. This exquisite Mustique Villa was featured in the Architectural Digest for being one of the worlds best villas to enjoy both sunrise and moonrise. Alumbrera is beautifully designed in three different pavilions which integrate beautifully amongst the lush tropical gardens. The main pavilion hosts the living room, dining and bar areas and leads directly on the terrace and pool area. This pavilion is open on all four sides so that you can take full advantage of the lovely cooling breezes that flow through. It is extremely spacious with contemporary furnishings and unique pieces of art. 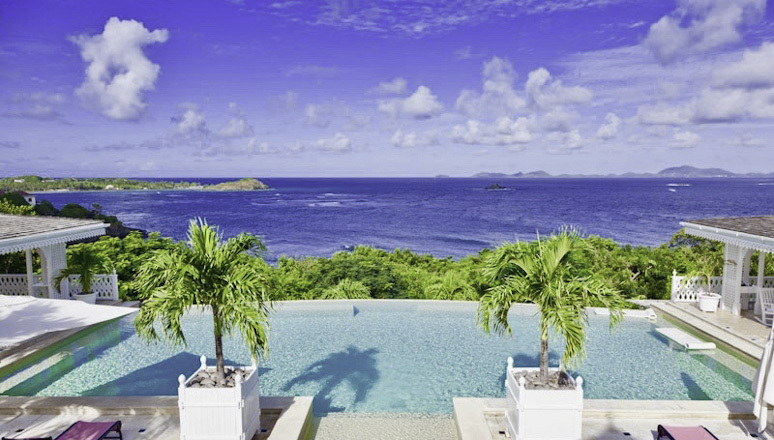 The pool which is forty feet in length is one of the longest villa pools in Mustique. When you rent Alumbrera, it comes equipped with a gymnasium, a media room and a tennis court. In addition, you will be wonderfully pampered and cared for by the professional team of staff at Alumbrera.